If you believe that you are the victim of stroke misdiagnosis, call the Law Offices of Cardaro and Peek today. A 2014 study conducted at Johns Hopkins University suggested that ER doctors were up to 30 percent more likely to overlook signs of stroke in women, minorities, and patients under 45. According to data, nearly 13 percent of people admitted to the hospital with a stroke diagnosis had visited the emergency room up to 30 days earlier with complaints of dizziness and headaches. Unfortunately, these patients were diagnosed with benign conditions during their initial visit or sent home with no diagnosis. These staggering statistics are not uncommon, and many patients and loved ones are forced to suffer the consequences of stroke misdiagnosis. If you believe that you are the victim of stroke misdiagnosis, call the Law Offices of Cardaro and Peek today. According to the Stroke Center, approximately 795,000 people suffer a stroke each year. About 600,000 of these are first attacks with the remaining number covering recurrent attacks. A stroke can be fatal, but it can also lead to life-altering, long-term disabilities. Medical professionals are trained to recognize the symptoms of a stroke but various factors can lead to a misdiagnosis. Medical malpractice occurs when the medical professional fails to administer the relevant standard of care, and the patient suffers from a stroke that could have been prevented with a proper and timely diagnosis. 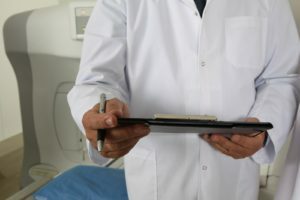 Whether the doctor fails to read a patient’s medical history, fails to prescribe medication, or fails to administer treatment in a timely manner, he or she needs to be held accountable. This entry was posted on Thursday, November 15th, 2018 at 1:00 pm. Both comments and pings are currently closed.